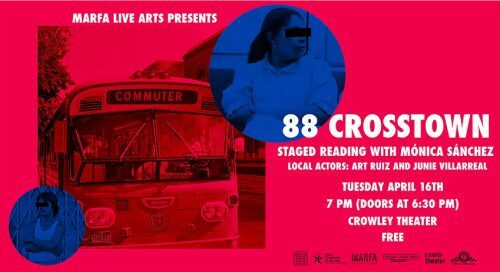 88 CrossTown is a play about an unlikely friendship that ensues between a young man and woman as they are captive on a bus ride across the city on a late night. Sánchez calls it a journey traversing barriers of fear, suspicion, and simple human truths. 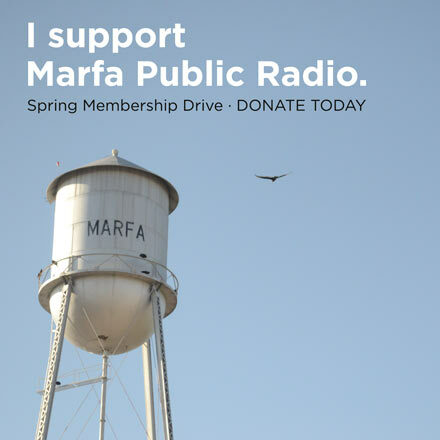 During her time in Marfa, Sánchez will also teach Marfa Live Arts’ 8th Annual Playwriting Workshop with Marfa High School students April 15-19. Winning plays written by Marfa students during the Playwriting Workshop will be performed by local actors and staged during the 8th Annual One-Act Plays at the Crowley Theater on Wednesday, May 1, 2019.